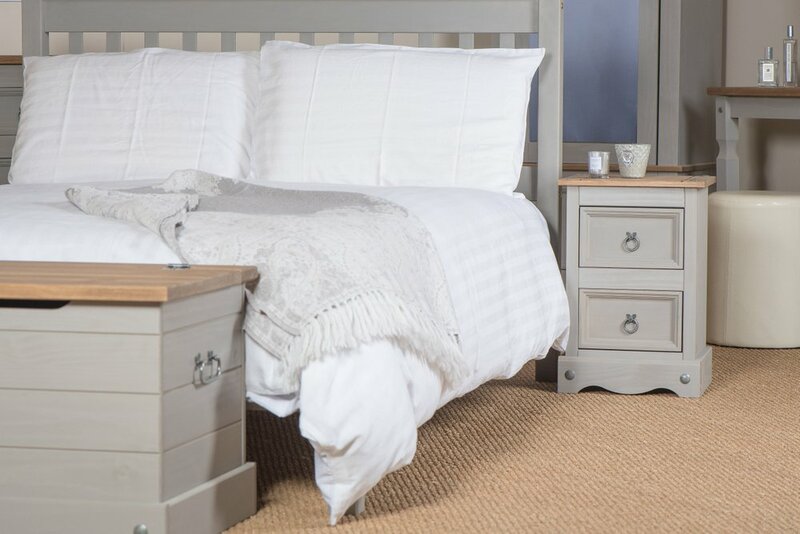 Create a relaxing bedroom with the Corona grey range. Charming design with contrasting antiqued pine top. Take advantage of the low foot end and dress the bed with throws to add a luxury feel to your bedroom. 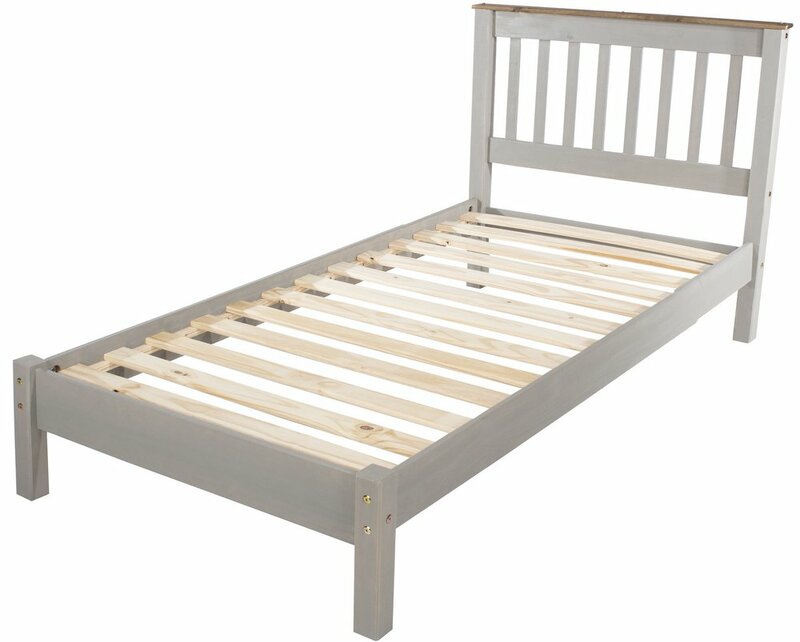 Fits a standard UK size single mattress available separately.